ALONG with the arrival of new chief tactician Maurizio Sarri at West London, one of his more extraordinary pupils, Jorginho has brought an enticingly unique brand of football to England. It’s not even been 2 months and Jorginho is already enhancing his reputation as one of the best passers in the world. There are a number of broad footballing styles in the Premier League. “Long-ball”—in which the midfield is bypassed as defenders shunt the ball towards a muscular striker. This is particularly associated with mid-table English teams and is usually the tactic de jour for teams up against stronger sides on paper (Klopp’s gegenpressing and Pep’s title-winning tiki-taka). Sarri’s brand of football (so well-reputed in Italy that it got a name for itself, Sarrismo or “Sarri-ball”) will not be entirely new to the country whose reigning champions are instructed by the genius Guardiola. It could, however, develop into something unique. It requires a quick, vertical style of positional play, playing out from the back in short triangular passing combinations and intense pressing off the ball, with the main man in his system being Jorginho, ticking the ball along and pulling the strings from the Italian ‘regista’ position. A strong peripheral vision allows him a great view of the entire system in front of him while also being aware of the positions of his teammates behind him. This position is particularly new in the Premier League. Brazilian-born midfielder Jorge Luiz Frello Filho joined Napoli in the summer of 2014. He won the Supercopa Italiana and the Coppa Italia in his first season but wasn’t in first-team contention under Rafa Benítez. Gökhan Inler and Walter Gargano were often picked over him. It was at this moment that Jorginho was seriously considering a move away from the outfit. However, after Maurizio Sarri’s arrival at the Neapolitan club, the fortunes for the out-of-favor Italian international changed forever. He went on to be one of the best players in the world in his customized position, playing 160 games for the club, earning plaudits from football pundits all over the world. Slowly but steadily, he became a target for top European clubs such as Manchester City and Liverpool. Eventually, Chelsea secured his signature on the same day Sarri was appointed the manager. Jorginho’s arrival meant a predictable return to structured attacking play for the club since Carlo Ancelotti was sacked in 2011. Chelsea currently implement a contrasting footballing style to the ones the Premier League saw under José Mourinho and Antonio Conte. They are a much different side now, they play in Sarri’s well-drilled 4-3-3 formation ditching Conte’s back three.It’s not a surprise that their possesion stats read 70% or more in almost every game: and the squad has been lit up with technically astute players like never before. Chelsea play out from the back in short passing combinations with the help of the world’s most expensive goalkeeper Kepa Arrizabalaga. Jorginho sits in front of center-backs David Luiz and Antonio Rüdiger, dictating the play and always keeping the ball rolling, with loan signing Mateo Kovačić and N’Golo Kanté on either side of him. Jorginho is known for his composure and versatility as a footballer, which allows him to be deployed in any midfield position. Due to his work-rate, technique, ability to break down possession, vision, and passing accuracy, he is capable of playing in a central box-to-box role, or in a defensive role as a ball winner. 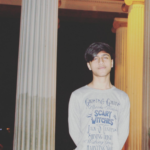 However, he usually plays in a creative role, as a deep-lying playmaker. A position which allows him more time on the ball to control the tempo of his team’s play with his short, horizontal passing game. Chris Sutton rightly remarked “he’s a playmaker. He’s a Fàbregas with legs.” Jorginho is a playmaker supreme, and more. Jorginho is a visionary on the football pitch, constantly waving his arms around and directing his teammates where to pass. He provides added support to the flank through which the team are attacking. He’s always mopping up the floor whenever the opponent gets the ball, recycling possession in a span of seconds. At the moment he is pulling all the strings in the centre of the park and living up to his burgeoning reputation. Jorginho averaged a pass every 50 seconds last season at Napoli, and the top 10 Serie A passing records in a single game are all held by him, in a span of just over 3 years. He’s brought his vision, his reading of the game and his passing ability to the Premier League, and Chelsea are already reaping rewards. In the club’s first pre-season game in Australia against Perth Glory, Jorginho debuted in a spell of 45 minutes where he dictated Chelsea’s play like he’s been in their midfield for years. More of the same has followed as he’s grown into the team’s surroundings game by game and formed a better understanding with his teammates. Chelsea have won all four games in the Premier League so far, Jorginho having an important part to play in all the games. His press-resistant attributes have come to the forefront in playing out from the back. When the opponent is indulging in a high press, he is either immediately passing the ball to a teammate in space or lifting it over the opposing defence to create a big chance. 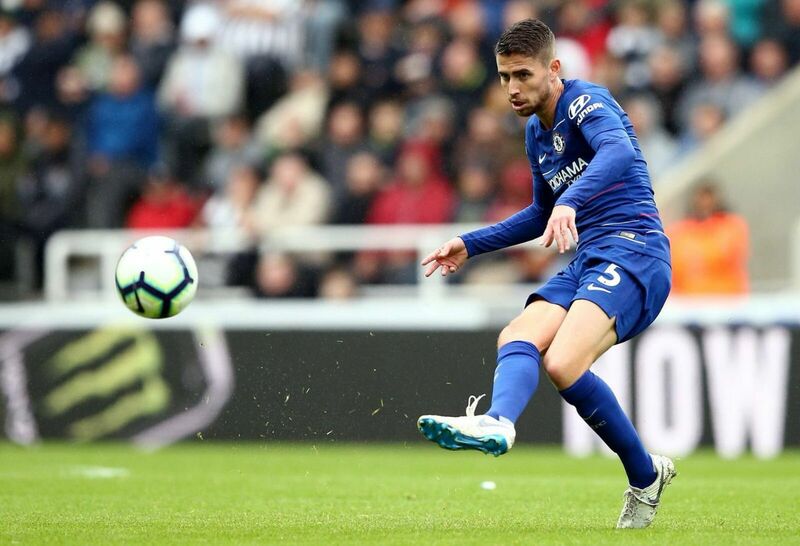 Jorginho’s pinpoint precision passing prowess in midfield was revealed to England when he completed a whopping 154 passes out of 176 at St James’ Park last weekend, breaking into a top three Premier League passing record in only his third league game for the club. His ability to split the opposition defence in half came to the forefront when he scooped the ball over Héctor Bellerín into Marcos Alonso who assisted Pedro for Chelsea’s opener against Arsenal at Stamford Bridge two weeks back. He’s a very neat penalty specialist as well, converting all his penalties for Napoli last season. The Italian has already converted three penalties out of three for Chelsea including two in the pre-season, and one on his league debut against Huddersfield. England has scarcely seen a deep-lying playmaker of Jorginho’s calibre since the days of a certain Xabi Alonso. With all of Jorginho’s attributes peaking at the right time and his fellow midfielders getting used to Sarri’s system, we can expect to see a more efficient version of him soon. An improved version of him that can pass between the lines and link up with the talismanic Eden Hazard more often than he is doing right now. If Chelsea get on terms with Sarri-ball well and continue their great start, he might just turn out to be the most impactful Premier League signing of the season. If that indeed happens, Jorginho would be able to repay every penny of the 52 million pounds spent for him. Can Sarri Inspire Chelsea To Challenge For The Title?